The Atmosphere family continues to grow – please join us in welcoming these new faces to our team! 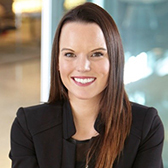 Trista Leach has joined our Minneapolis team as a Workplace Consultant. Trista attended The Art Institute of MN and graduated with a bachelor’s degree in Interior Design. She comes to us from Parameters, where she was an Account Manager, and before transitioning to sales Trista was an Interior Designer for 7 years. Trista loves cooking, being outdoors and being a fitness instructor; she has been teaching yoga and barre for six years. In the summer, you can find her on her boat, wakeboarding and taking in the sun, or golfing with her husband. 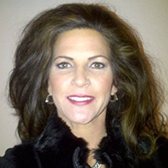 Juleen Shetterly has joined us as a Workplace Consultant in Tucson. She has 20 years of Business to Business Sales and Business Development experience and 4 years in Commercial Furnishings Sales. Juleen is a Des Moines, Iowa area native and has lived in Tucson since 2003. In her free time, she enjoys hiking, golf, spin class/working out, cooking, walking and spending time with her Border Terrier.